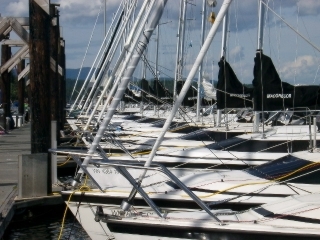 According to Sailing Today, September 2000 page 83, Van de Stadt’s Dehler 25 sloop bested MacGregor Yachts by a year or so in the use of water ballast. 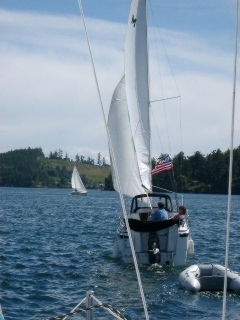 The German Dehler 25s were produced from 1984 to 1991 and water ballast was reported in the US to be used for trailering reasons and cost savings. March 14, 2014 in Ex Ex 2014.